Be the first to hear about their new releases and deals. Download the Booksprout app and search for Dan Oakley today! 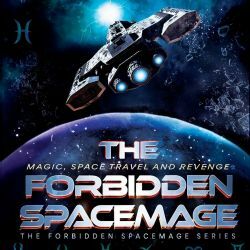 Dan Oakley writes a blend of sci-fi and magic. An avid reader, Dan has always enjoyed reading exciting pulp fiction tales and set out to write fast-paced, action-filled, thrilling stories. Based in the UK, you can usually find Dan tapping away at the keyboard or nursing a drink at the pub.